Some books that we especially recommend as the best for sufferers and for carers. 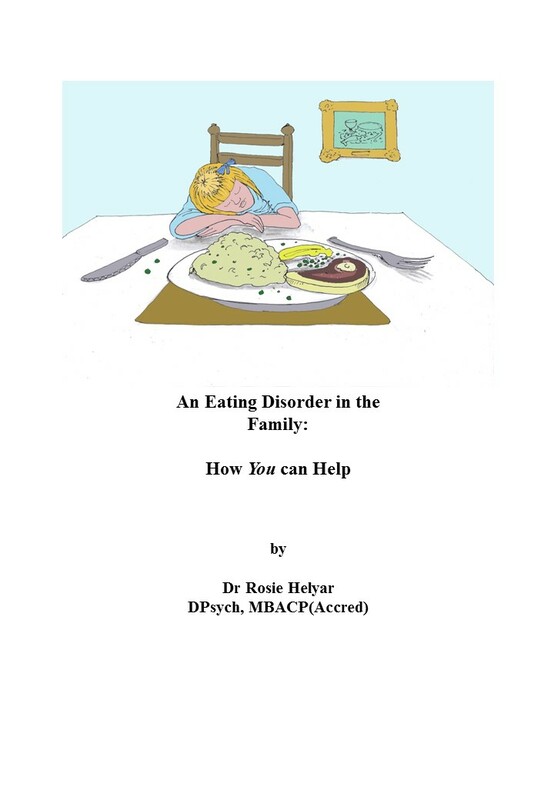 An easy to read, practical, must-have book to guide parents and carers through the maze of recognising an eating disorder, getting help and managing the fall out in the family. There are practical dos and don’ts, things that are helpful and things to avoid. It recognises that eating problems vary according to individual circumstances and personality, and explains the importance of maintaining stable blood glucose levels by regular balanced food intake, as well as giving ideas for boosting self-esteem, which can help protect against the development of eating problems. Parents and carers will learn how their style of coping can be changed to help to induce recovery in their loved one. You will also learn how to manage the shame that someone with an eating disorder typically feels and which keeps them trapped. We explore the myths surrounding food, dieting and weight loss, and provide sensible ideas for dealing with eating arguments where you have to walk on eggshells. There is a section on understanding eating disorders generally, and a two interviews give us insight into the experiences sufferers feel. Finally, there is a diagnostic questionnaire to help you to assess how serious the eating disorder really is. Sara is an experienced eating disorder clinician writing mainly for professionals about the eating disorders and their treatment. This guide gets right to the heart of what an eating disorder means and what can be done. Clear, comprehensive and informative, this is the book I sell in hundreds at all our training events. Sara knows how to communicate her subject and whether you are a sufferer or a beginner dipping into this vast subject, or even an expert, you will find something to inspire you in this book. Emma has moved on and has confronted the remaining control mechanisms which ensnared her in echoes of a ferocious anorexia. This is her story, and it will inspire people who are struggling with their own eating disorder. I will recommend this book to patients and therapists alike. Find it on Amazon and follow her footsteps. Sometimes a book comes along that will really speak to a young sufferer. This is the one. It shows how Rose Anne battled the anorexic voice to set herself free from its rules, its savage criticism and its torment. Rose Anne has reclaimed her life and we recommend this book to any parent and any young person who has decided, for whatever reason that she must starve. A more adult look at what needs to be done to help you break free from anorexia. Nicola is both a qualified Chartered Health Psychologist and also a former sufferer, who knows exactly what the illness feels like. She understands that recovery is not just about gaining weight, it is making eating feel deserved. To read this book will inform both suffers and health professionals, giving you a thorough tour through all the different therapies that can be helpful.